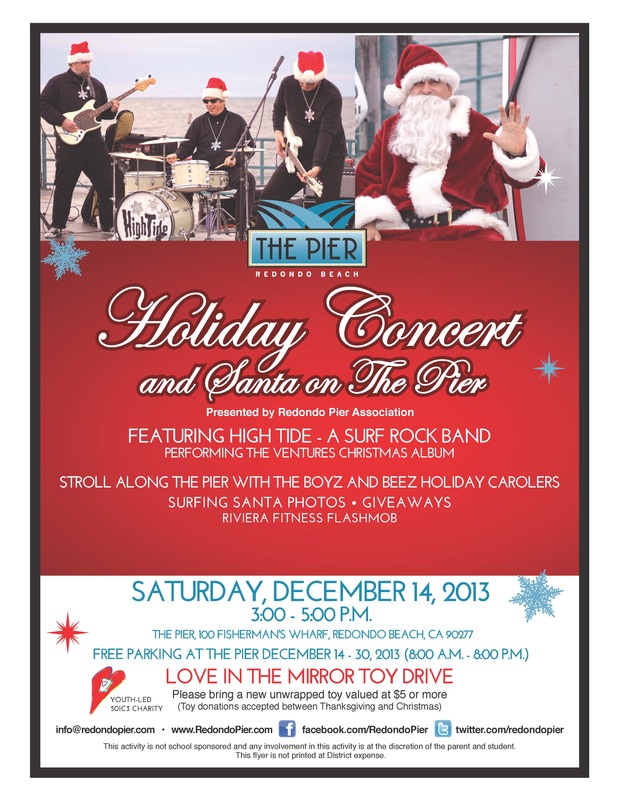 Come join us on the pier Saturday Dec 14th for the holiday concert on the pier featuring High Tide. There will also be Carolers on the pier and kids can take pictures with Santa. The concert will be between 3 and 5 pm and remember, parking is free on the pier till December 30th between the hours of 8 am and 8 pm!